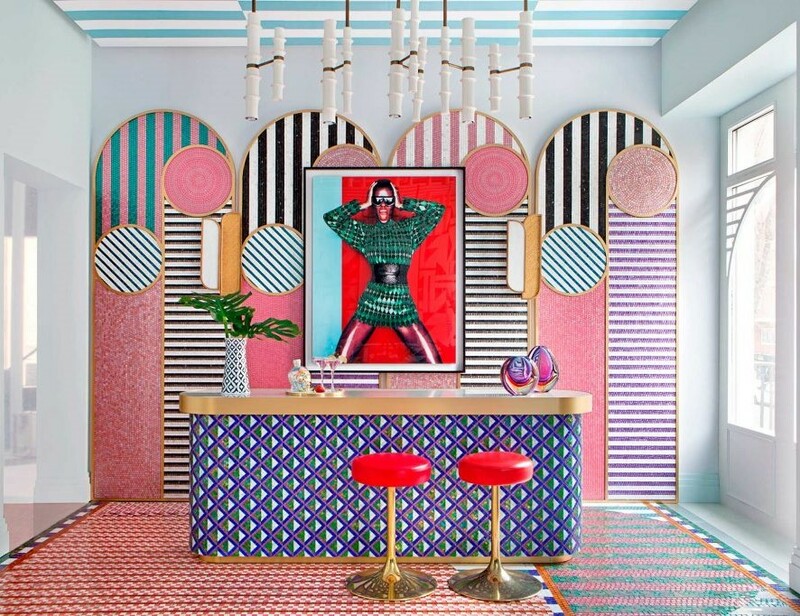 Casa Decor 2019: Spanish Interior Designers Bring It Again - ¡Colour Your Casa! 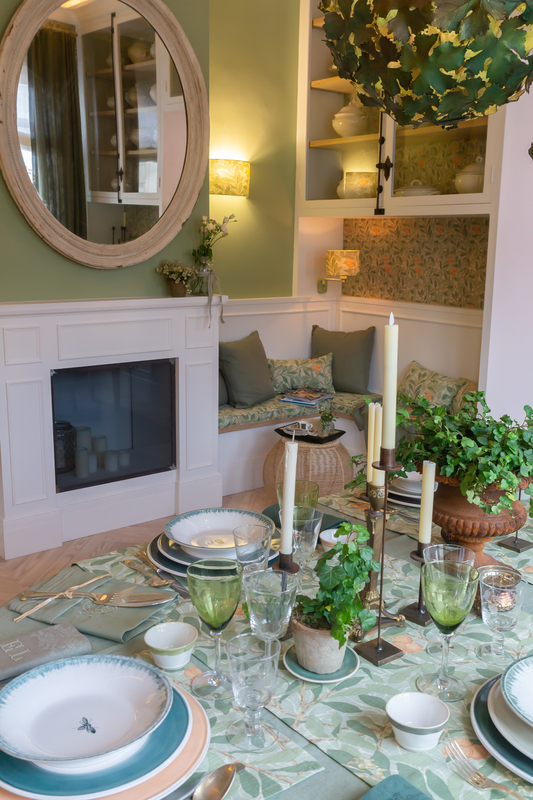 Casa Decor 2019 has started in Madrid, and you have a chance to visit it until the 10th of March. 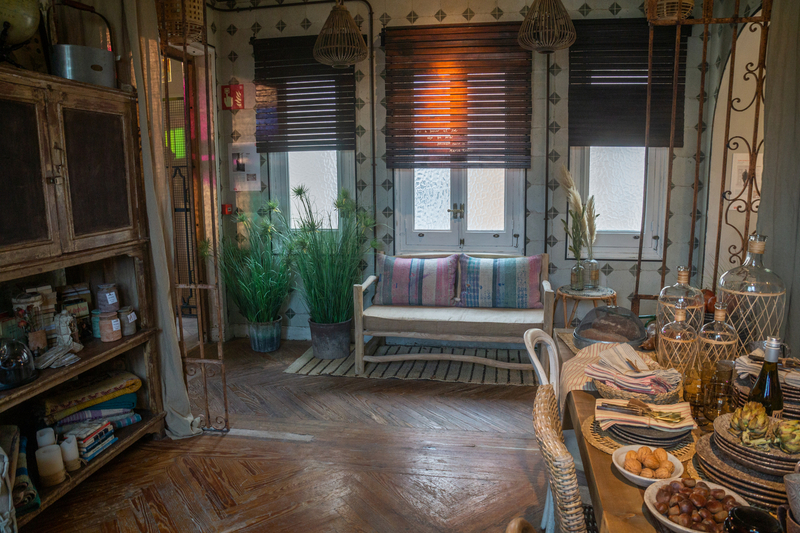 I already did that, and want to share with you what I thought are the coolest spaces in this year’s edition. 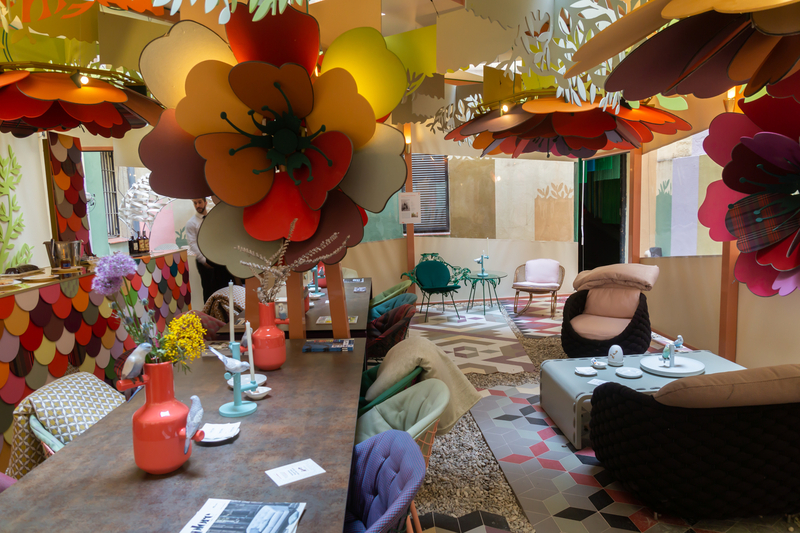 Just a reminder, Casa Decor is an annual interior design event in Madrid, gathering the crème de la crème of the local interior design scene! Every year, they take a different fancy building, this year it’s Núñez de Balboa 86 in the Salamanca neighbourhood, and divide the space between interior design studios and brands, which have the best local designers create a complete project for them – a suite, a bedroom, a corridor, a bathroom. Speaking of bathrooms, this year, there were so many cool bathroom projects, that I think I’ll dedicate a separate post to them. 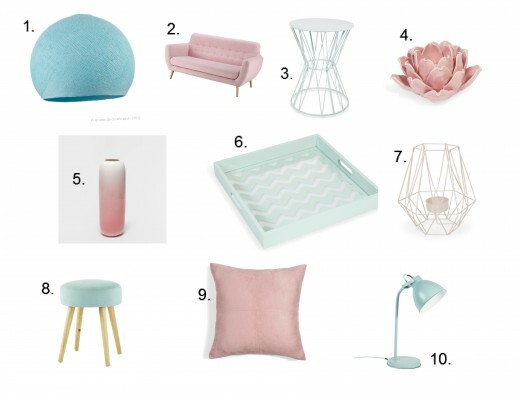 Also, you can check out my posts from the three previous editions of Casa Decor. 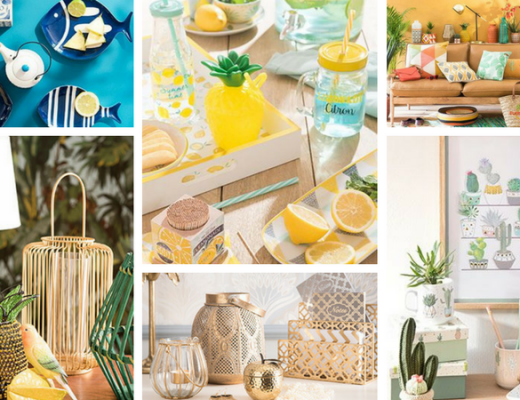 Casa Decor 2019 will last till March 10, the general public is welcome on any day of the week, 11AM – 8PM. Admission price is ~ €16. Sicis, Italian manufacturer of luxurious glass mosaic tiles, chose Miriam Alía, one of the younger headliners of the Spanish interior design scene, to showcase the power of their colourful mosaic surfaces, and the resulting space – a saloon-bar entitled ‘Punk Revolution’ is party-colored, flamboyant and fearless, and has an enormous WOW-effect to it, just like any of Alía’s other designs. 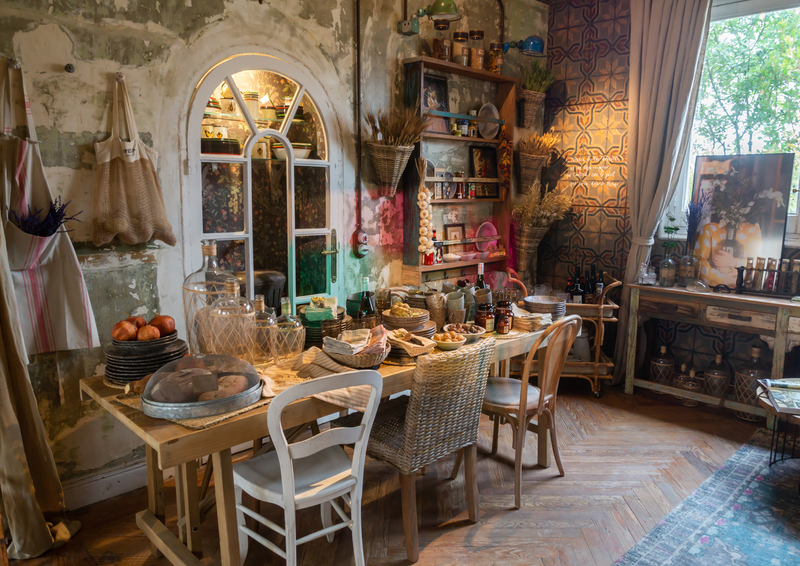 Portuguese embassy is one of the regulars at Casa Décor, and their spaces are always very impressive, showcasing the best materials and crafts Portugal has to offer. 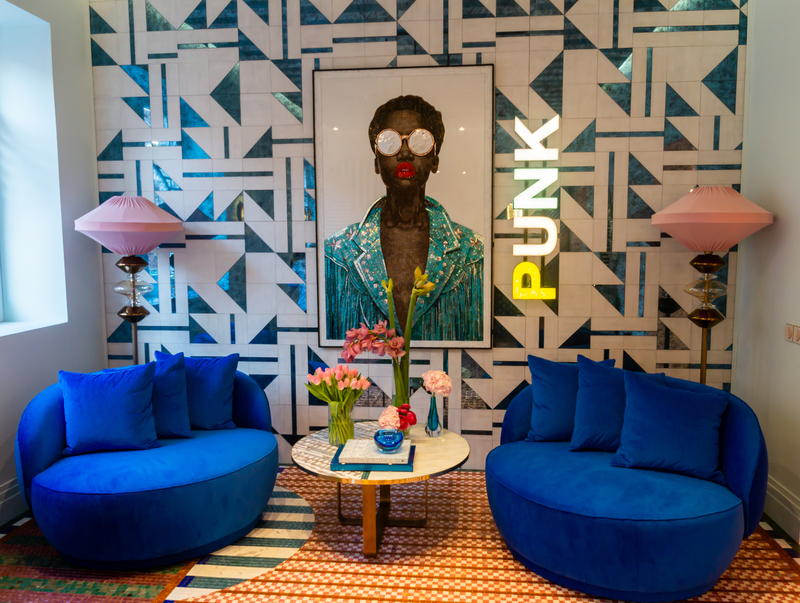 This year, they decided to collaborate with Erico Navazo, renowned Spanish interior designer, whose style roots in a dialogue between items and objects from different ages and styles, creating the ultimate eclectic harmony. 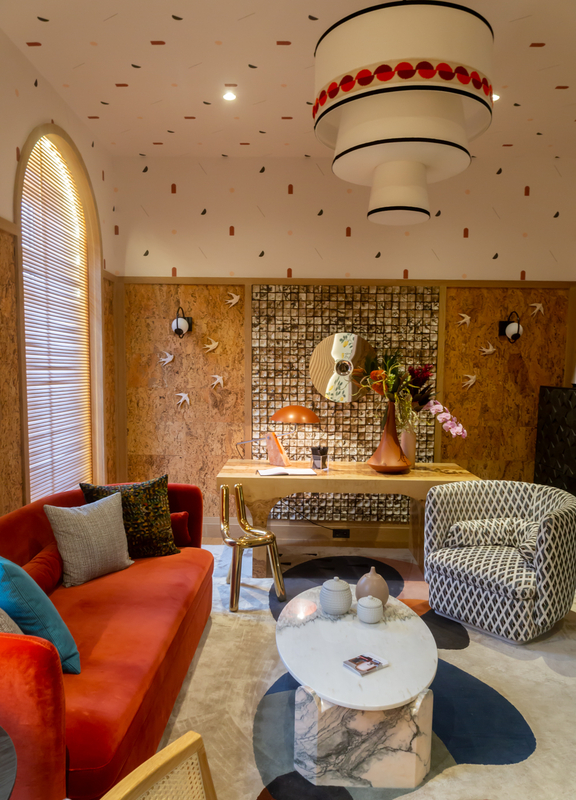 This space for Casa Décor 2019 has a pronounced retro vibe about it, the designer says, he found inspiration in the sophisticated simplicity of Portuguese architecture of 1950s. 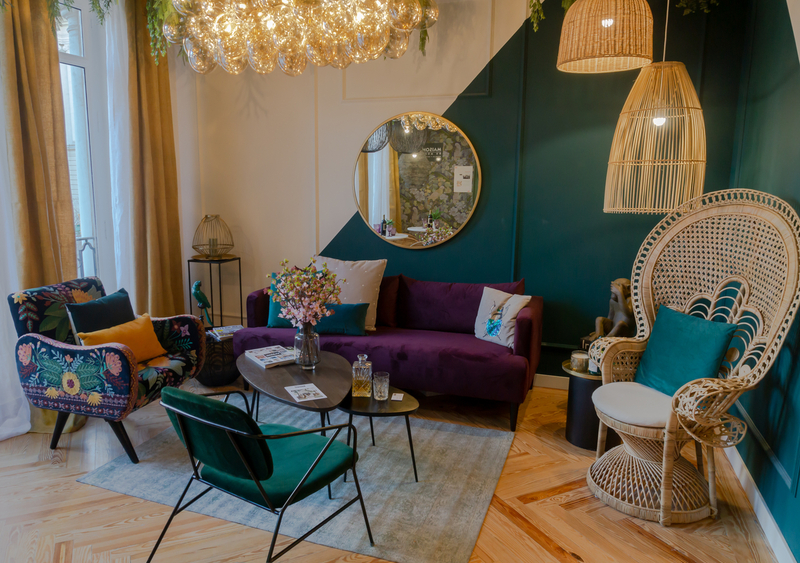 It’s the first in the 4 years that I’ve been going to Casa Décor, that the French furniture and home décor chain has claimed an entire space for its designs, and I just love the result – it is chic and trendy, but with a very bohemian and laid-back vibe to it. 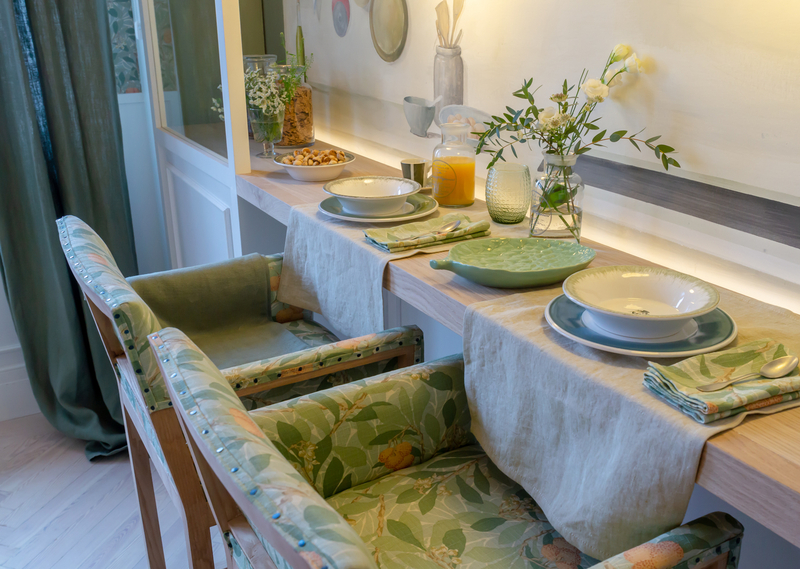 The team of ‘Coton et Bois’ interior design studio created an absolutely gorgeous dining room – a peaceful country-style refuge in the middle of a bustling city, where a big family can take a much needed break and enjoy slow food and each other’s company. And no cell phones allowed here! Patricia Bustos is one of those designers who never play it safe. 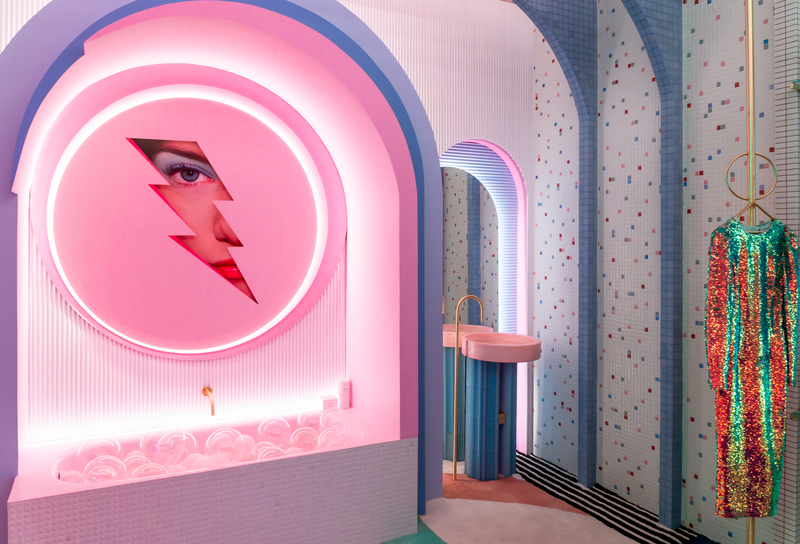 ‘Wonder Galaxy’ is a futuristic and somewhat surreal take on what is essentially a dressing room! Inspired in the esthetics of 1960-1970s and the Memphis group, this space transmits the unconstrained creativity and fascination with the future we all have as kids. 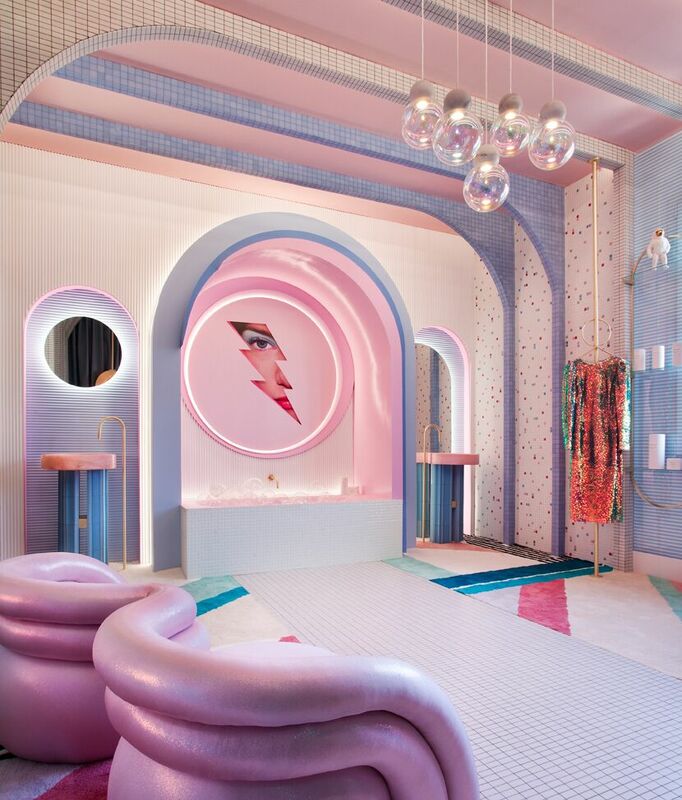 Patricia played with volumes and arches to reflect the idea of infinite time and space, and as for pink, which seems to be the designer’s favourite colour…well, you just can’t be serious around pink, can you? In 1920, the term Flapper described women, who following the horrors of the WWI chose to break the conventional social rules and wore short skirts, bobbed their hair, smoked and enjoyed jazz music. In other words, they pursued fun rather than settling down and doing what the society expected of them. 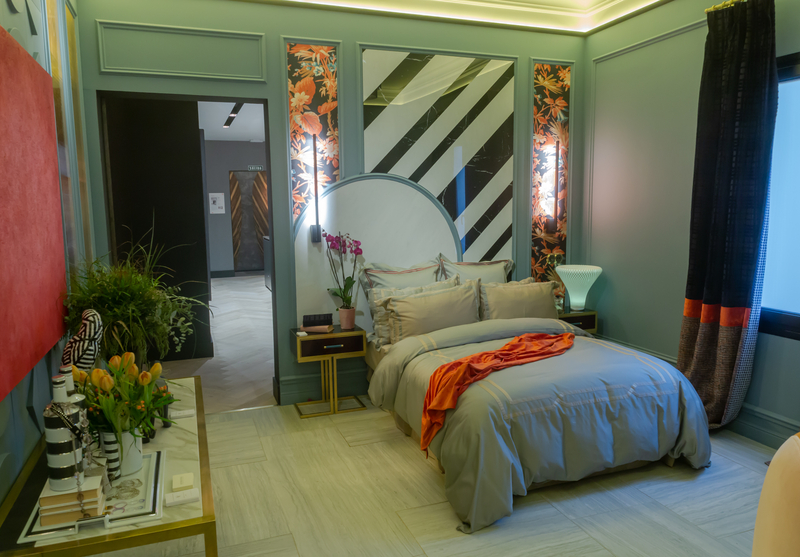 The bedroom designed by Virginia Sánchez is a reflection of the flamboyant lifestyle of the flappers and the fashion revolution they sparked back in the day. 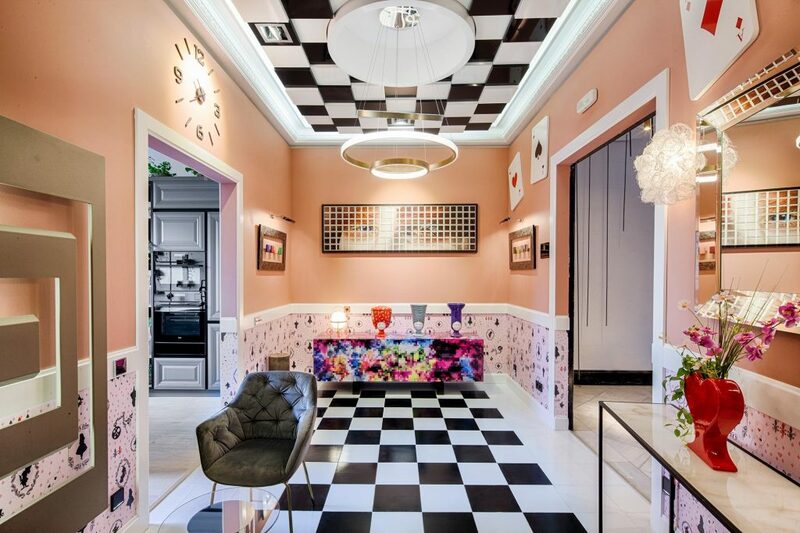 The project designed by Juan Fuentes, invited by Jung – vendor of smart technologies for residential and commercial properties, is inspired by the timeless ‘Alice in Wonderland’ and its hallmark symbols, drawing parallels between Charles Dodgson’s (a.k.a. Lewis Carrol) experiments with neuroscience and the German company’s approach to the interaction between man and technology. Designer Francisco Segarra opened a store of vintage and industrial home décor and furniture called Ofelia (it’s both online and a physical shop in Madrid’s Chueca, I actually stumbled upon it when I was browsing the neighbourhood, this area is really cool), and his space at Casa Decor feels like a corner of his shop – charming and cosy, making you want to take a break and indulge in the memories of the good old times. Don’t miss the lovely patio terrace inspired by American artist Georgia O’Keeffee and her paintings of enlarged flowers! 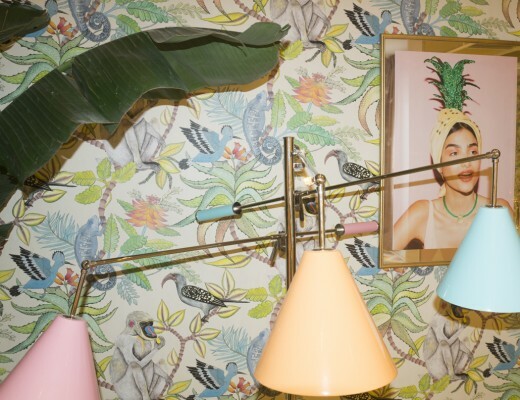 Wallpaper: Still very much IN!